Search Respirators by Application | Texas America Safety Co.
Texas America Safety Company created this page to help search respirators by application. 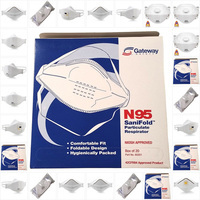 This page helps sort our selection into N95 masks, N100 masks, half face masks, fit testing equipment, and even a page for a small size safety mask. 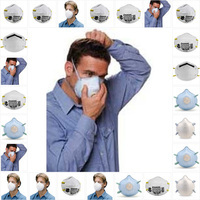 We concentrate on disposable safety masks and should be able to find what safety respirators you are looking for. In many situations, it’s best to choose a respirator based on application. On this page, you can browse our full selection of respirators and choose a product based on what you need it for. 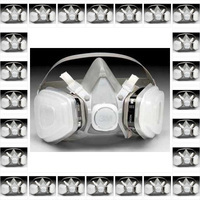 Different styles of respirators are needed for different purposes. For example, you wouldn’t wear an N95 respirator when your work requires an N100 style. Feel free to sort our selection based on small size, nuisance, half face, flat fold, N100, N95 and best value respirators. Our N100 respirators are able to block 99.7 percent of airborne contaminants and prevent them from entering into your lungs. Our N95 respirators only block 95.5 percent of harmful particles, but depending on the application, the N95 style might still be the better choice. 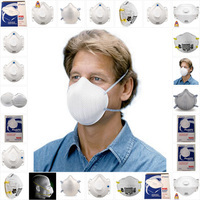 We also carry flat fold, nuisance and half face respirators. The half mask respirators that we carry are ideal for applications that don’t require eye protection, or you might choose to pair the half mask with safety goggles. 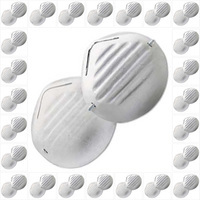 Also called hygiene masks, our nuisance masks offer great comfort. 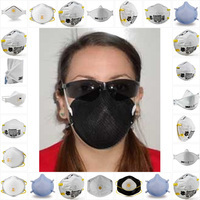 Nuisance masks offer protection when working around flour, wood dust, metal and powders. They also protect from pickling baths, spraying applications and mists.